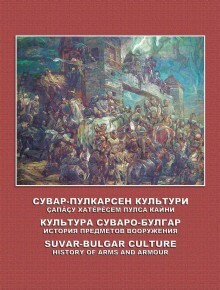 The article is devoted to the preservation and revival of the cultural identity of the Suvaro-Chuvash in the conditions of the modern globalizing world. 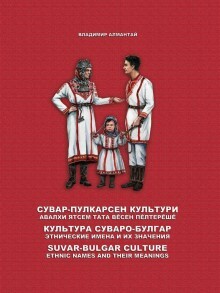 In globalization processes, reliance on traditional culture allows the Suvaro-Chuvash to preserve their identity, restrain the risks of destruction of ethnocultural values and ensure the conditions for their sustainable development as an ethnic group in terms of communication with other cultures. The history of mankind is the history of wars. And the development of civilizations is full of uninterrupted wars: tribal conflicts, invasions of horse people, slave rebellions, feudal wars, and global warfare. Since the 7th century B. C. in Ancient Rome there was the Temple of Two-faced Janus. Traditionally the gates of the temple were opened only in war time. As the history says, during the whole period of its existing they were closed only four times and the peace did not last long. The peoples living on the huge territory of Eurasia were not isolated from each other, as they had constant cultural contacts, and they had conflicts too. On these vast areas great civilizations were born and died. The migrations of peoples can be compared with the swing of a huge fantastic pendulum. From time to time different peoples left their homes for a better life. Plenty of them moved to the East Siberia and Asia with the purpose to capture foreign lands. Others moved in the opposite direction with the same purpose. In Bronze Age and in Early Iron Age, which followed it, a great amount of wars took place in Egypt, Mesopotamia, Babylonian and Assyrian empires. Later on, wars were unleashed by the great ancient military leaders: Alexander the Great, Hannibal, Darius and Julius Caesar. Plenty of people had to abandon the traditional lands and moved further to the East, Siberia and Asia, hoping to find safety there. In the 2nd and 1st millennium Before Christ there were series of military campaigns waged by the Indo-Aryan tribes. Since the 7th and 1st centuries B. C. it was Scythians, Sarmatians, Savromats and The Saka who redrawed the map of the Ancient World. Since the 1st—4th centuries A. D. numerous hordes of nomads, — Huns and mixed ethnicity tribes with Turkic peoples at the head, — moved to Europe. In the 13th-14th centuries Mongols’ armies under the leadership of Genghis Khan and later Timur the Lame conquered large territories in Eurasia. These campaigns changed the face of Europe. Ethnic personal and geographical names speak about the culture and the mode of life of the peoples, their historical ties with other peoples. As the result of lasting contacts of people of different cultures the names were borrowed. And they took root in the languages and life of other peoples. 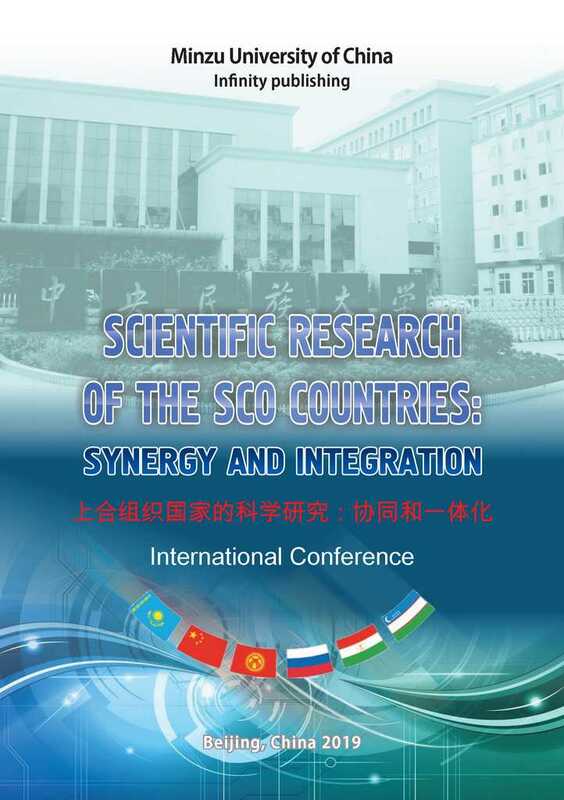 Thus the names became international. But at the same time these names remained the national symbols of the people, they were borrowed from. Each family had the name, which passed from one generation to another. For example, the parents gave their child the name of its grandfather, because he had been respected in the family. That's why the new-born child was given a name connected with the family, the Motherland and the nature. 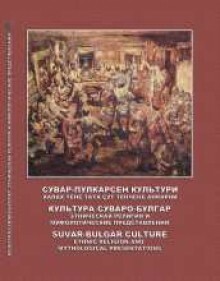 Suvar-Bulgar names had semantic meanings and the hidden power. If a new-born child was given the right name, he also got the forefathers' blessing with it. ( the Chuvash for 'pekhil'). They believed, that the blessing would guarantee the best human characters to the child in future, such as: valour and courage, decency and honesty, love and unselfishness, health and beauty. But if the name, given to a new-born was not right, it could ruin his life. Çuvaş Türklerinin Kahramanlık Anlatmaları (Alplar) adlı eser Türk boyları arasında dil özellikleri ve dini inanışları bakımından araştırmacıların özel bir ilgisini çeken Çuvaş Türklerinin sözlü geleneğinde önemli bir yer tutan Alplar hakkındaki anlatmaları ele alır. Çuvaşların tarihi, dili, edebiyatı, dini inanışları hakkında genel bilgilerin de yer aldığı eserde Çuvaş Türklerinin edebiyatında epik eserler üzerine yapılan araştırmaların tarihçesi, Çuvaş edebiyatında destan kavramı ve yapma destanlar hakkında kapsamlı bilgiler yer almaktadır. 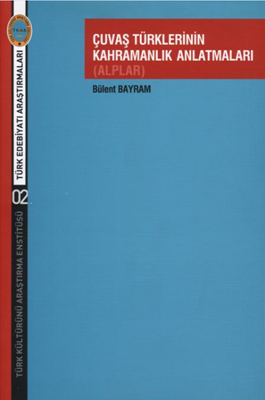 Araştırmanın temel konusu olan “Alp Anlatmaları” ise çeşitli yönlerden eserde incelenmiştir. Anlatmaları tür ve şekil özellikleri, anlatmalarda yer alan sosyal, tarihî ve dinî unsurlar ayrıntılı bir şekilde ele alınmıştır. Çalışmada söz konusu anlatmalara ait 301 metin transkripsiyonları ve Türkiye Türkçesine aktarımları, metinlerin künyeleri ile birlikte eserde yer almaktadır. The off-springs of the ancient Suvar-Bulgars — the modern Chuvash people are the fifth most populous nation in Russia. They live mostly in the Volga Region, where their first in the Eastern Europe middle aged state Volga Bulgaria was situated. To be more exact, it is the territory of modern Samara Oblast, Ulyanovsk Oblast, the Chuvash Republic and some parts of the territories of the Mari El Republic, the Udmurt Republic, the Republic of Bashkortostan and Penza Oblast. This Part of the Volga Region bounds on the territory, where Finno-Ugric peoples the Mari and the Mordvins live on one side, and on the territory of the Turkic people Tatars and the Slavic people on the other side. According to genetic and linguistic data the culture of the Chuvash (the Suvar-Bulgars) stands apart. Thus it differs as from the culture of the Slavic people and from the culture of Finno-Ugric and Turkic peoples as well. The names of the peoples, living in the Volga Region are well-known from the earliest times. But as far as the word ‘Chuvash’ is concerned, it appears in the written sources only since the 16th century. 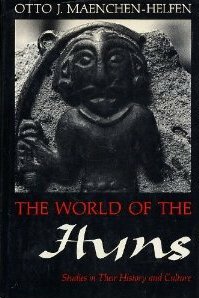 Who were the Huns? How did they live? Professor Maenchen-Helfen dedicated much of his life to seeking answers to these questions. With pertinacity, passion, scepticism, and unsurpassed scholarship he pieced together evidence from remote sources in Asia, Russia, and Europe; categorized and interpreted it; and lived the absorbing detective story presented in this volume. 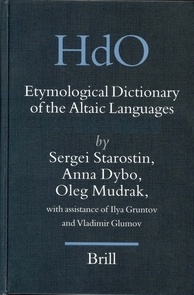 This comparative and etymological dictionary of the more than fifty languages traditionally classified as Altaic is arguably the most comprehensive, systematic work as yet on the subject. Subdivided into five branches: Turkic, Mongolian, Tungus-Manchu, Korean and Japanese, it deals with the entire Altaic family. The introduction contains a detailed account of the phonetic correspondences between Altaic languages, as well as their morphological and lexical characteristics. The body of the dictionary presents almost 3000 lexical matches between different subgroups of Altaic, with Proto-Altaic reconstructions and detailed reflexes in ancient and modern languages. Wherever possible comments are given to distinguish between inherited vocabulary and various later interlingual borrowings. With detailed indices for each language. A true reference work of great importance. This dictionary offers hundreds of "family tree" type graphics documenting the links among 1600 ROOTS, 4700 Persian and 3300 English words. Over hundred ten references are used to document the word derivations. Each language referred to in the charts has its own WORD INDEX. Some non Indo-European roots are also included. This web edition of the Ethnologue contains all the content of the print edition and may be cited as: Lewis, M. Paul (ed. ), 2009. Ethnologue: Languages of the World, Sixteenth edition. Dallas, Tex. : SIL International. 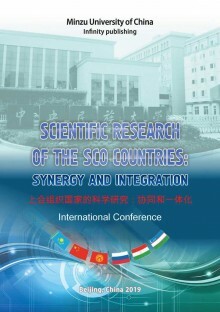 Online version: http://www.ethnologue.com/. Presented in Russian, this scientific encyclopedia deals with the religions and customs of the Chuvash.